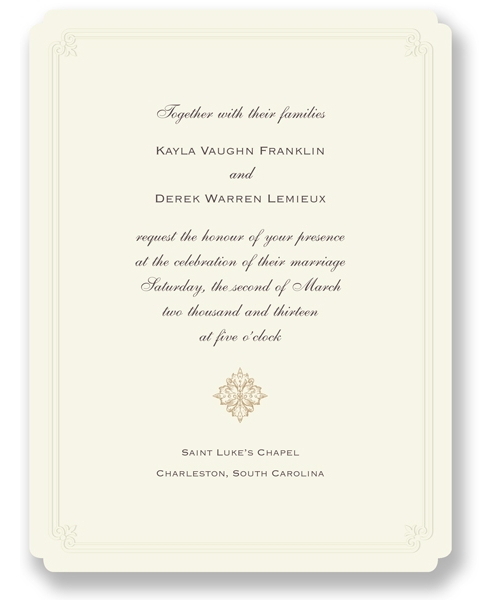 A beautiful Ecru wedding invitation, blind embossed double border accented in the corners with Fleur-de-lis curves. 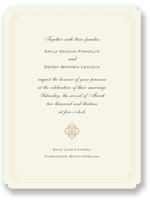 The unique details of this wedding invitation from William Arthur set a style statement for your wedding. 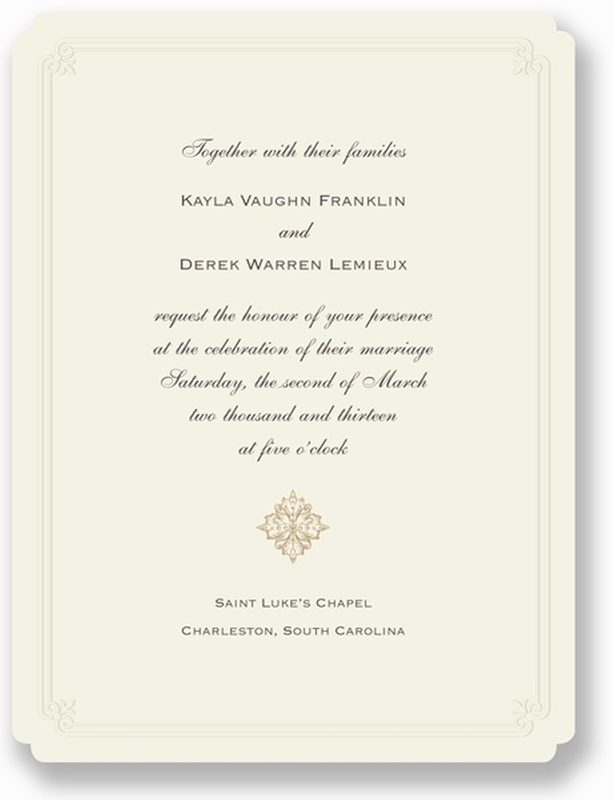 Shown using two ink colours on the on-line image, I have a beautiful example of the same card in the studio using a single black ink colour, with the addition of a champagne satin bow wrap, which looks particularly pretty. 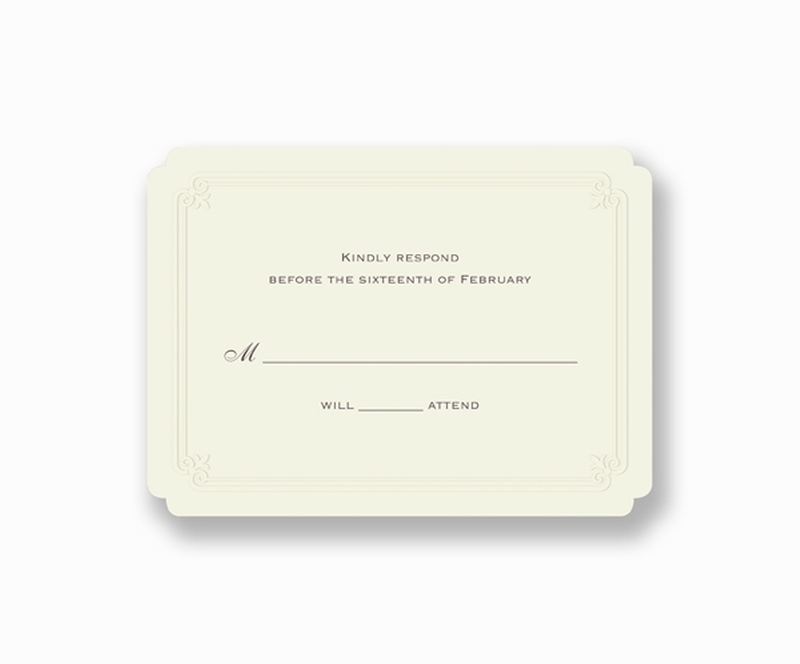 The scalloped edge to this card is unique in our range and complimented beautifully by the embossed scalloped border. A beautiful old-world look, which I would recommend be further complimented by a traditional font design. 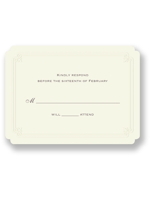 A full range of matching cards are also available for Reply Cards and other stationery needs.